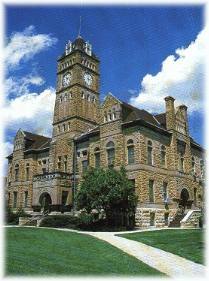 Beloit, county seat of Mitchell County, is located in the Solomon River Valley in the north central area of Kansas. It is also in the center of the Smoky Hills in the land of the Kansas Post Rock. It is located on U.S. Highways 24 & 14, and K- 9. Beloit is 50 minutes from Interstate 70 and 30 minutes from U.S. Highway 81. It is 3 1/2 hours from the Rocky Mountains. Beloit is located 15 minutes from Waconda Lake and Glen Elder State Park. This area provides excellent fishing, hunting, camping and nature study. The whole area provides for the needs of an abundance of birds and wildlife including bald eagles, herons, cranes, deer, prairie dogs, bobcat, quail, pheasant, prairie chickens, waterfowl, etc. The state's central location, productive workforce, excellent educational system, equitable tax structure, abundant energy resources with competitive rates as well as incentives to business such as tax relief and training assistance make Kansas an ideal location. When Col. William Newton Kinslow died in Beloit on Oct. 18, 1948, many attended his funeral, but no one bought him a head stone to mark his final resting place. At 6'7", Kinslow was a member of the National Society of Longfellows and at one time was listed as the second tallest man in Kansas. 9-Hole golf course with grass greens, putting green, driving range, rental carts, cart shed, golf shop and clubhouse with snack bar and restaurant.